As a result of the Forex’s “open all-the time” policy and being that on different ends of the world the same moment can be in the middle of the day or the middle of the night, the Forex trading day is comprised of three primary trading windows. The windows, identified as the Asian, European and American sessions, are the times when trading is most active in each major area of the world – when it is daytime in China, the Asian session is most active and so on. The overlap between the different zones is typically the most traded; this overlap of one zone’s end of day and another’s beginning of the day typically sees the highest volume. The European window begins at roughly8am GMT, being that the Forex market is a non-stop event, there is no precise second this starts as with the Stock Exchanges. We can tell a little before this session opens how the market will react. It is possible to track the mood of the market as it crosses the time zones. How it held up through the Istanbul and Moscow regions is usually a good indicator of how it will begin in Europe. The trend that it opens with in the Eurozone typically lasts for several hours and then factors such as economic reports and data anticipation take over to shape the market for that day. Meanwhile in Asia, late night traders are beginning to forecast their strategies for the morning Asian session which will feed off of the European and American sessions to map out a direction for itself. The American session and European session overlaps are typically seen as the most volatile and voluminous. It is when the market tends to make its most drastic moves of the day in the shortest amount of time. IT is where money is made and lost in split seconds, and price spikes are the norm. 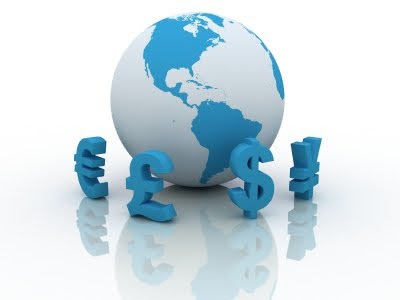 Trading in this time can be tricky and can be highly rewarding – the key to making it a success is to understand the overall trend from Europe and Asia and knowing what is on the calendar for this day. Forex trading can be a challenge, but understanding basics like this can make it a much more rewarding experience. its a really very nice article here. thanks for sharing this with us.